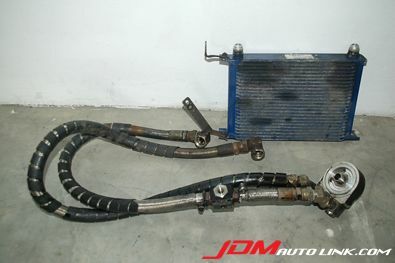 We have a APP Sfida Engine Oil Cooler Kit for the Nissan Skyline ECR33. Although this is a kit set for the ECR33 Skyline, it will also fit all SR and RB series engines. 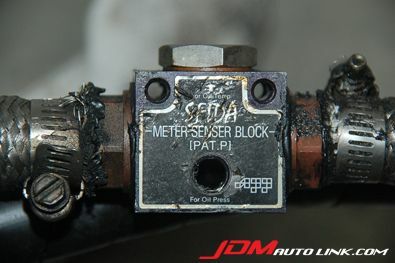 The oil cooler also comes with braided lines and a APP Sfida Meter Sensor Block for oil temperature and oil pressure sensors. 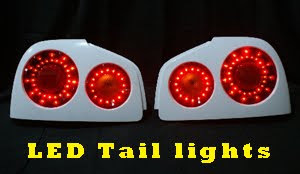 Email us at sales@jdmautolink.net if you are interested and we will quote with shipping.